eVision Digital Welcomes Designer Jennifer McDonald! eVision Digital Announcing New Partnership & New Website Design! So…this edition of Frustration Free Friday…is! Frustration free, that is! I am delighted to announce web designer Jennifer McDonald of Saratoga Springs has joined me as a partner in my company eVision Digital Marketing, bringing a whole new set of assets, skills, and an element of fun to our company! 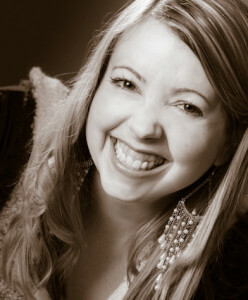 A graphic design professional, Jennifer is the former owner of Creative Flow Marketing in Saratoga Springs. She brings years of experience in website design, development, branding and internet marketing. She is also the owner of the highly popular website Saratoga Dog Lovers (be sure to check it out). Jennifer is – in a word – awesome, and we are both looking forward to bringing our unique skill sets to bear in creating successful websites, branding and internet marketing programs for all of our clients, large and small! eVision Digital Marketing is growing, and in keeping with our new business profile, we also just launched a newly redesigned, fully responsive eVision Digital Marketing website! The new site is designed to provide clients and potential customers with more information on our capabilities, available services, our approach to client project development, as well as a large portfolio of web designs, logos, and branding projects. Take a look at what we offer! We love what we do! We are excited to be moving forward as a team, and are ready to take on new challenges! So whether you are a small business like a Saratoga bed and breakfast, builder or wellness provider, or larger like a manufacturing facility, insurance company or hotel, we are ready to have a conversation with you about how your business will benefit from a website that puts you where you need to be and tells your ideal clients who you are, what you do, and why you fill the bill. We can help make the website planning and development or internet marketing process less painful. So here’s to Frustration Free Fridays for us, our customers and clients! When you’re ready to get started, call US at (518) 222-6285, or contact us online for more information!